We look forward to taking care of your new puppy or kitten, to watch them grow, to keep them healthy, and to help heal them as needed. We would also proudly care for your older pet too! 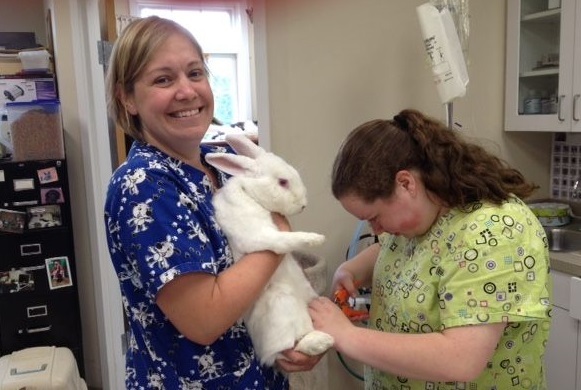 Our staff is compassionate and caring, with a genuine love for animals. Our medical complex is equipped with the latest diagnostic materials and medical equipment, complete with spaciously comfortable exam rooms. Your beloved pet will feel at ease in our facility. Which includes separated cat and dog sitting areas and exam rooms. We have four exam rooms and two surgical suites. 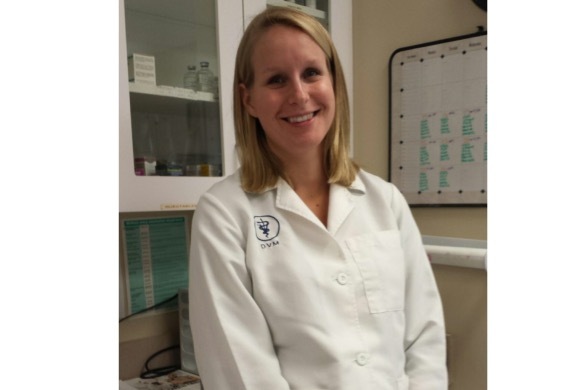 From hip dysplasia to otitis. From infected wounds to soft tissue trauma. From post-dental surgery to Degenerative Joint Disease (DJD). Laser Therapy improves healing and provides pain relief. No shaving or sedation is needed. Therapy packages of 6 treatments cost $163. 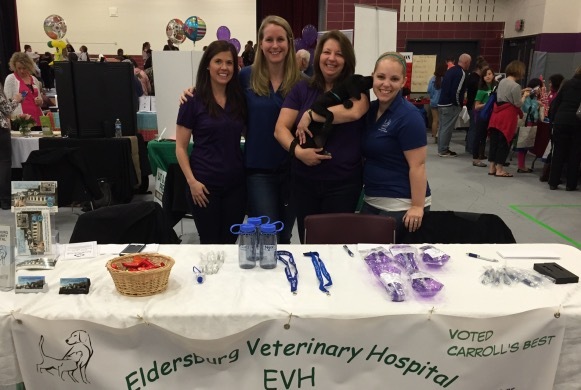 Eldersburg Veterinary Hospital is one of the few hospitals in Carroll County that includes Laser Therapy after spaying and neutering, to promote faster healing and reduce scarring. 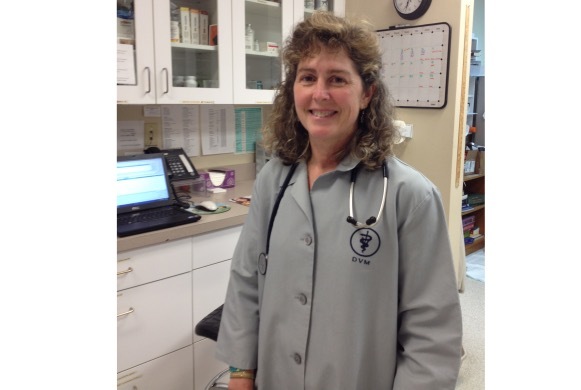 We often get remarks that we stock a larger supply of medicines than many other veterinarians. Please call ahead for your refill so we can have it ready for you! We recommend calling ahead for medication requests/ refills, our busiest days are Mondays, Tuesdays and Saturdays. 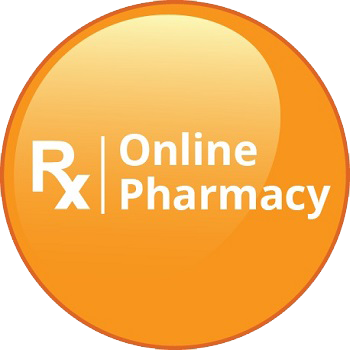 Your pet's annual wellness exam must be up to date to refill most medications to insure correct dosing. 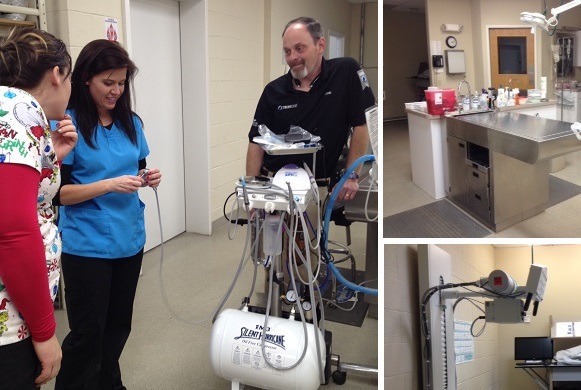 Veterinary technicians are receiving training on the proper use and care of the new iM3 LED dental machine. Plaque, which is made of saliva, sloughed mouth cells, food, and other things, forms on teeth just minutes after eating. If left untreated, the plaque builds up, leading to gum inflammation that can then cause tissue decay. The inflammation then progresses deep enough to destroy bone, which finally leads to tooth loss, the ultimate end of periodontal disease. Unfortunately, periodontal disease (also called gum disease), occurs five times as often in pets as it does in people. As a matter of fact, more than 80% of dogs over 3 years old have periodontal disease. Yet, while gum disease is usually the biggest dental problem a dog faces, it's not the only one. Some dogs, especially larger breeds, are also prone to broken or fractured teeth. 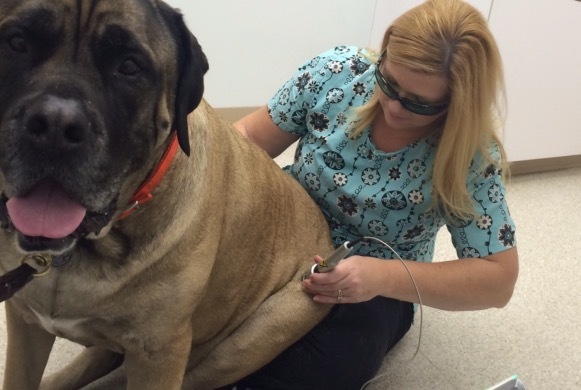 Tracey with Jax Mulloy, in her lap, during K-laser therapy. Big A Baker is getting a nail clip with our techs, Amy is holding and Ivy is clipping. A new litter of kittens! 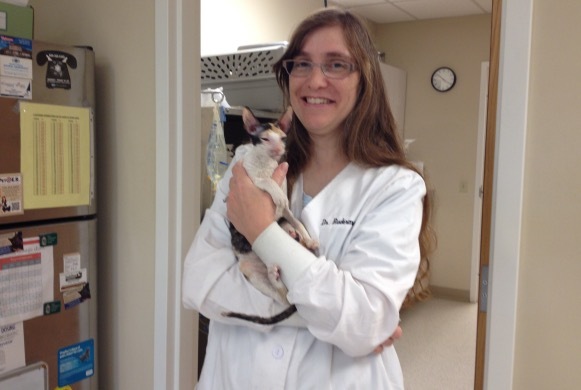 Dr. Schultz and Amy examine six kittens and their mom, "Gucci" Kerr.